Pet Supplies for the Season- Pumpkin! 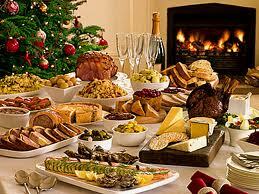 The holidays are here Pack Moms and that means food, dessert, appetizers, and more line our tables. Our schedules are busier than ever and our pets? Well, like us, they are most likely consuming more calories and fat than they should. We are busy, our pet supplies dwindle and sometimes we resort to people food for our dog or cat. Believe it or not, pumpkin is a wonderful ingredient to add to your pet’s diet to address upset stomachs, weight gain and more. Have you considered adding this sweet yet savory veggie to your pet’s bowl? How about a bit of all natural canned pumpkin or even a bit of fresh pureed, both loaded with Vitamin A and fiber? Tummy troubles? Many dogs suffer from the occasional bout of diarrhea typically induced by eating the wrong item from your garbage, household or yard. The fiber in pumpkin will help return their system back to normal. On the other hand, if your dog has problems with constipation, sometimes brought on by advanced age, adding pumpkin can get things moving in the right direction. Chunky monkey? 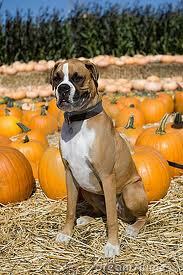 If your Fido is overweight, supplementing with pumpkin can help him shed those extra pounds. 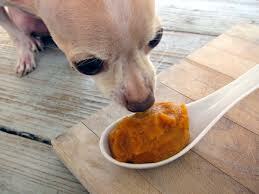 Simply reduce your dog’s normal amount of daily food by 10% and add pumpkin. His calorie intake will be lower (pumpkin is a low calorie food), his fiber intake increased (pumpkin is a good source of fiber) and he will feel full at the same time. Sweet Potato Treats– are a great rawhide alternative! So instead of purchasing that huge rawhide bone for your pet this holiday, try a bag of these! High in fiber and in Beta Carotene. Pumpkin can also help with food transition or with a finicky eater. * Be sure only to feed up to a tsp. with each meal for small dogs or cats and more for larger pets. Too much can cause loose stool. Adjust accordingly. You know what to do pack moms. * If your pet is ill or has more than just occasional diarrhea or constipation, please consult your veterinarian. Have you tried adding pumpkin or sweet potato with your pet? If so, in what way and what were the results? Now off to enjoy a pumpkin latte! My first of the season!